Justin Simon isn’t named Lakes Region Coach of the Year solely because of his team’s impressive winning streak. 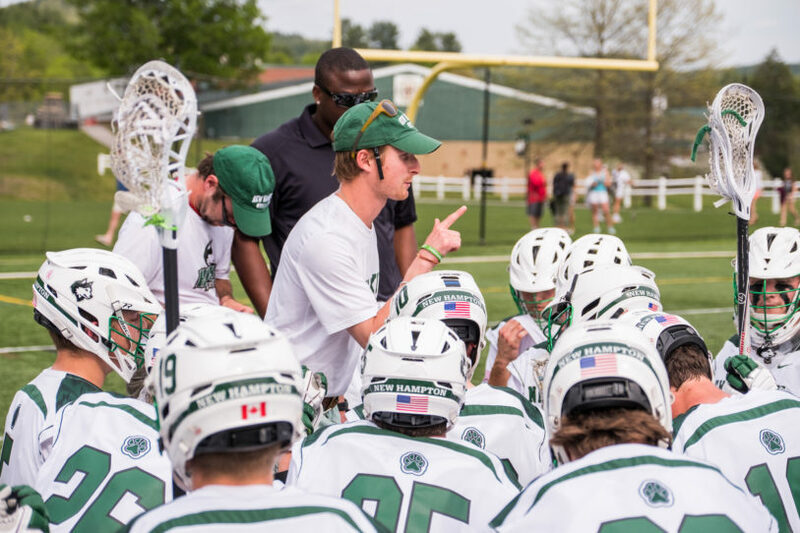 His cultivation of team, talent, and character have worked together over the past six years, to place the New Hampton School Varsity Lacrosse Program among the top twenty high school programs in the country, and to highlight the passion and intention with which he guides his players. 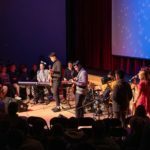 Working at a boarding school, the multi-tiered role of a faculty member was not unknown to Simon prior to his arrival at New Hampton School; moreover, it was a lifestyle choice. Simon lives on campus with his wife Jenna, — also a highly talented lacrosse coach who leads the Women’s Varsity Team — and their one-year-old daughter, Madison. He teaches English and serves as a house parent in Galletly house. 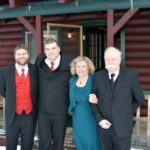 Justin attended Holderness School, in Plymouth, New Hampshire as a high school student, and went on to graduate from Bates College where he played four years of lacrosse, in addition to soccer. 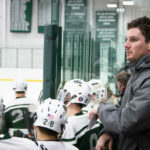 After getting his Master’s Degree in Educational Leadership with a concentration in Athletic Administration from Plymouth State, Justin became the Head Coach of the Men’s Lacrosse Program at New Hampton School in 2011. As a faculty member, a house parent, and coach, Simon’s athletes surround him on a daily basis. Whether having a discussion in history class, visiting with his family in the dining hall, or running drills at practice, Simon is a constant role-model for his players. Often times, at boarding school, it’s the recognition that teachers and coaches are real people, too, that aids in relationship building, and ultimately makes adults successful in their complex role as educators, coaches, and house-parents. Simon has built relationships with his athletes on and off the field, and their individual and collective performance under his leadership is impressive. “My relationships with my players extends well past the lines that make up our lacrosse field. I genuinely care that they are becoming responsible young men. It is not enough to be just a good athlete, and my hope is that they will come away from their time with me understanding that,” says Simon. 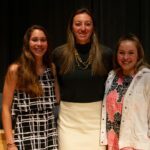 The relationship is reciprocal: “I have spent five years with Coach Simon and he has not only made me a much better lacrosse player but a better person. He’s been a role model for me since my freshman year and has had a huge impact on my New Hampton experience. I’ve learned so much from him that can be applied both on and off the field. He’s not only a great coach but an amazing person as well.” says 5-year student Guthrie Little ’17, who stayed on for an additional PG year to prepare for college. Coach Simon will be the first to credit his dedicated Assistant Coach, Ryan McHugh, and eager, teachable athletes, but his 4 years as USA Lacrosse Coach of the Year, three Lakes Region Championships, and two years of being undefeated speak to a talented and thoughtful Coach and educator, whose passion and knowledge for the sport are backed with expertise both as a former athlete and in working with high school students. A highly competitive 2018 regular season schedule will feature fifteen contests (subject to change) against some of the strongest lacrosse programs in New England. In addition to the Northern New England Lacrosse League rivals, the Huskies will face non-league opponents Phillips Andover, St. Sebastian School, Phillips Exeter Academy, Pingree School, Navy Prep, and St. Paul’s School.